Who handles the accounting for your small business? Have you been wearing the accounting hat in addition to all the other hats you have to wear as a business owner? Or, are you using an accounting software program to keep track of your finances? If you aren't making use of an accounting software program, it's going to be a lot harder for you to manage your funds effectively. There are many small businesses that don't currently rely on accounting software. If you're not using one yet, now's the perfect time to make a change. Read on to learn more about some of the best startup accounting software programs that you can use to manage your business's funds. At this point, you might be thinking, "What's the point of accounting software? Why can't I just keep track of purchases and the business bank account balance myself?" First of all, there's a lot more to business accounting than just tracking purchases and avoiding a negative account balance. Accounting software helps you carry out a number of important business functions and shows you where your money's going in a more accurate way. Most accounting software programs are also easy to install and begin using. There's a very small learning curve associated with them, so you don't have to worry about dedicating hours of your time to figuring out a new program. TopNotepad is a great option for startups looking for a simple, cloud-based accounting software program. There are tons of positive reviews online regarding TopNotepad, and for good reason. The program's users are most impressed by its low price point, simple expense tracking, billing, and invoice generation features. It also features client management tools and provides flexible options for both small businesses and those that are growing. Due is another highly rated accounting software program that's perfect for small businesses that are short on cash. Due has a free plan for businesses that send out three or fewer invoices per year. Even the most expensive plan is relatively affordable, though, at just $49 for the year. Due allows you to handle billing, expense tracking, and invoice generation. It also provides you with notifications for when invoices are due and includes a helpful billing timer. QuickBooks Online is one of the most popular accounting software programs for small businesses and independent contractors. With plans that start at just $5 per month, it's hard to beat the affordability of Quickbooks Online. QuickBooks Online allows you to track cash flow, plan for quarterly tax payments, and manage bill payments and invoices. Freshbooks is another popular option that has recently arrived on the market. Freshbooks is a little more costly than some of these other programs, but it also allows you unlimited invoices and lets you work with up to five clients. You also gain the ability to accept credit card payments, and you have access to unlimited customer support, both via email and over the phone. FreeAgent is an award-winning accounting software program that features high-quality, easy-to-interpret reports and a wide range of bookkeeping and accounting features. Its features can be a little overwhelming to those who are new to bookkeeping and accounting. But, for those who want all the bells and whistles, it's a great option to consider. 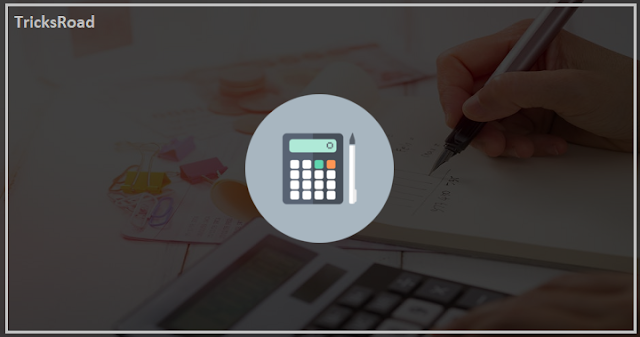 If you fall into the camp of business owners who lack accounting knowledge, LessAccounting is perfect for you. This program is geared toward those who don't have a lot of accounting experience and don't have the time to learn. It lets you outsource your accounting to those who know what they're doing so you can focus on the aspects of your business that are better suited to your skillset. Wave is a totally free accounting software program that provides you with double-entry bookkeeping and access to detailed financial statements. It lets you upload your bank and credit card statements, too. This program gets updated on a regular basis, so you consistently gain access to new and helpful features. If you're looking for a great free program, Zoho Invoice is another good one to consider. The free version of the program offers all your basic accounting tools so you can track expenses, send invoices, and monitor your cash flow with ease. The paid versions of the program come with additional tools, including timesheets and time tracking features. Whether you use the free or the paid version, Zoho Invoice is easy to operate and can integrate flawlessly with a variety of other popular business apps created by Zoho. Xero is a low-cost accounting software program that allows you to handle all your day-to-day accounting needs, from sending invoices to paying bills. Xero supports multiple currencies, too, so it's perfect for businesses that have customers in other countries. One of the only downsides to Xero is that it puts a limit on the number of bills you can pay and invoices you can send. You can read more about the pros and cons of Xero by visiting this blog. As you can see, there are lots of different startup accounting software programs that you can use to stay on top of your finances as a small business owner. You can't go wrong with any of the programs on this list! Do you need more help when it comes to small business accounting? If so, we've got lots of informative articles on our site that will teach you everything you need to know. Start by checking out this article to learn about the ways an accountant can help you keep your business afloat.